Known as the oldest neighborhood in Anchorage, Alaska, the fabulous neighborhood of Government Hill is nestled in the northwest corner of this dynamic city. When you are a resident of this charming neighborhood, you will enjoy its excellent location, plentiful entertainment opportunities, beautiful residences, and much more. Regardless of your interests, you will not struggle to find enjoyable activities to complement your favorite pastimes. Whether you are interested in nature, the arts, nightlife, or something else, you are sure to appreciate the myriad of opportunities in and around this splendid neighborhood. Lovely Government Hill, Alaska, single-family homes, townhomes, and condos are ready to impress you, so now is the time to consider what it would be like to live in this welcoming neighborhood. This friendly neighborhood is home to the Anchorage Curling Club, and it offers many other entertainment opportunities as well. For example, if you enjoy spending time outside, you will want to visit the many wonderful parks and natural areas in and around magnificent Government Hill. For example, pleasant Suzan Nightingale McKay Memorial Park and lovely Harvard Park are both excellent places to spend time. When you are ready for a quick change of pace, you can easily travel the short distance to Anchorage’s vibrant downtown. You will appreciate the vibrant arts scene, and you may choose to catch a live performance at the captivating Alaska Center for the Performing Arts. You may also choose to enjoy a delicious meal in one of your favorite restaurants or spend time shopping at interesting stores. No matter where your adventures lead you, you will be content to think of your peaceful Government Hill, Alaska, single-family home, condo, or townhome awaiting your return. A great location, breathtaking natural beauty, and easy access to wonderful attractions are only a few of the benefits you can expect from this vibrant neighborhood. Attractive Government Hill, Alaska, real estate options are ready to pique your interest, and you are sure to find something that suits your style. 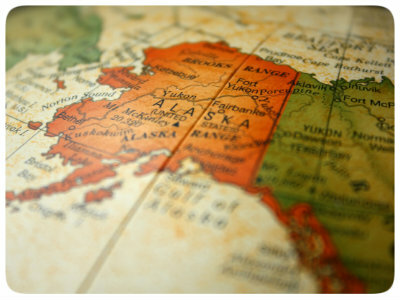 If you are ready for more information regarding splendid Government Hill, Alaska, single-family homes, condos, and townhomes, please do not hesitate to contact us.